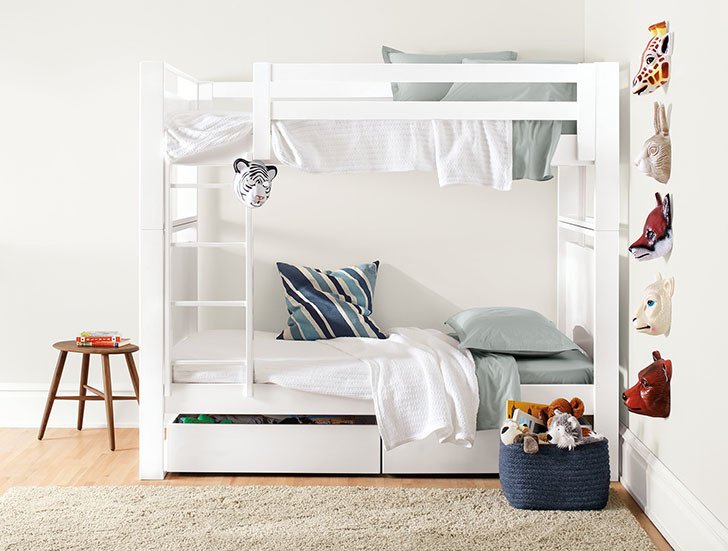 Give your kiddos more room to play with a space-saving modern bunk or loft bed. With a variety of sizes, configurations and color options, we make it easy to maximize your space without forfeiting your child’s unique style and personality. Great for smaller rooms, the Waverly Mini kids bunk bed gives you all the function of a bunk bed without overpowering your space. 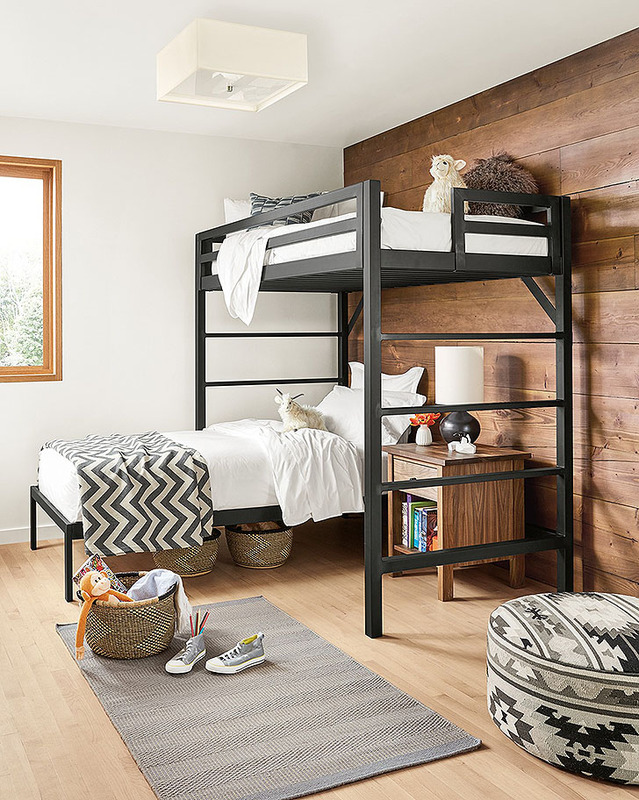 Our Chase loft bed features clean, versatile design that gives you the flexibility to tuck a twin bed, reading nook, desk or study spot underneath the loft. Plus, with a ladder design on both ends of the bed, you can position it anywhere in a room. Our Dayton bunk bed‘s simple design allows it to work seamlessly with other Room & Board collections and with furniture already in your child’s room. Moda bunks and lofts are available in a wide range of styles and configurations, like a loft with a desk and dresser or desk and bookcase. 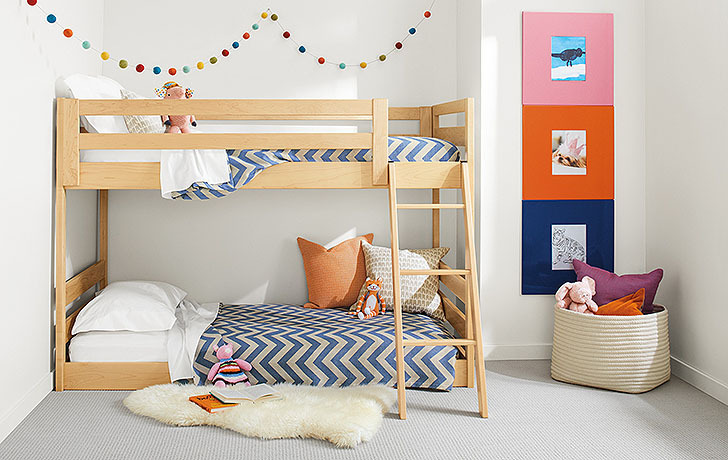 Kids will love personalizing their bunk or loft in their choice of colors and you’ll love its timeless functionality. Explore all of our bunk and loft bed options. 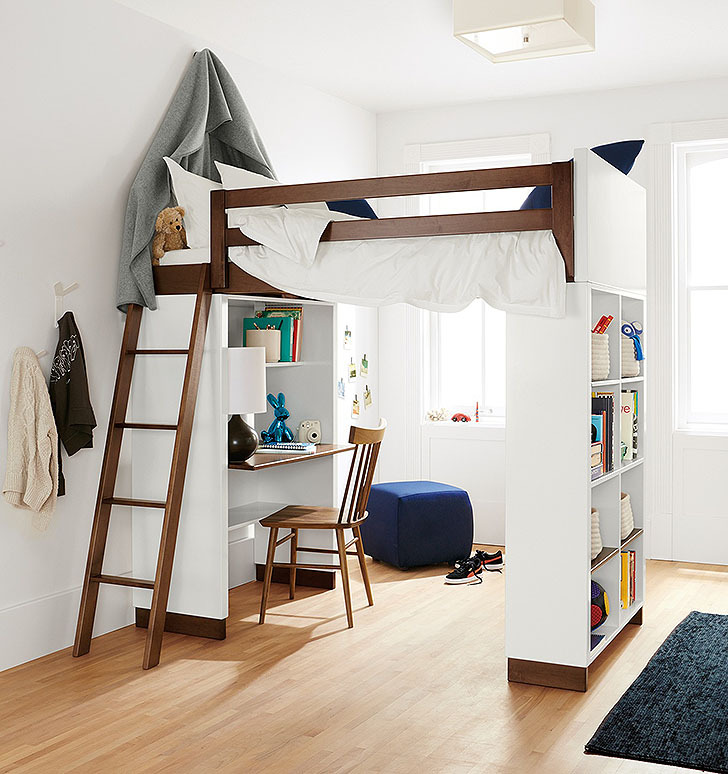 These bunk beds are really very Amazing! Thanks, for sharing great information about how to decorate the kid’s bedroom. I like your post. While these look so lovely in photos, they are a nightmare to keep looking like the photos. 1. Impossible to tuck in the blankets on the wall side. We tried to remedy with fitted flat sheet and duvet folded at the end of the bed. Still, it was really hard to get the flat sheet on.